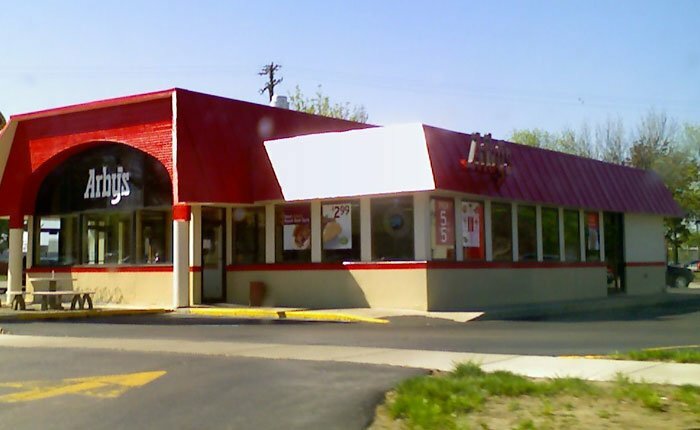 Analyzing The Nutritional Stats At Arby's: The Good, Bad, & Ugly! Are you searching for a healthy hamburger alternative? In this hunt, many turn to Arby's, thinking it will be a healthier option. But is it really? Let's take a closer look at their menu so you know what you're getting. Arby&apos;s may not be as healthy a choice as you previously assumed. Most of the chicken options actually contain more fat than the beef. Adding dressing to your salad will add more calories than you think. Many people already know that eating a fast food hamburger is not going to be the best nutritional bet for their diet. Because of this it often leads them to hunt for alternatives to the burger that will still satisfy their craving for a sandwich type of meal and that can be prepared in a matter of minutes. In this hunt, many turn to Arby&apos;s, thinking it will be a healthier option. But is it really healthier? Will Be A Healthier Option. Let&apos;s take a closer look at their menu so you can get the full idea of what kind of nutrition you&apos;re getting when you choose to eat here. The roast beef sandwiches are going to be one of the more popular choices among most people and there are a number of options that range in calorie value. The best choice to go with for the roast beef sandwiches will be the Ham & Swiss Melt, which contains just 280 calories, 6 grams of fat, 35 grams of carbs and 18 grams of protein. This should easily be able to fit within your diet and tide you over until you can prepare a healthier home cooked meal. It doesn&apos;t contain a great deal of protein, so just try and make the rest of your choices that day higher in protein content. 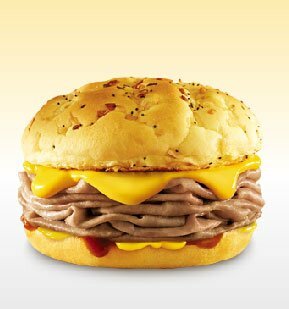 Slightly higher in fat but not outright disastrous is the Arby&apos;s Melt, which comes in at 300 calories, 12 grams of fat, 36 grams of carbs, and 16 grams of protein. Similar in nutritional stats is the Regular Roast Beef containing 320 calories, 14 grams of fat, 34 grams of carbs, and 21 grams of protein. Either of these will be okay choices - not nutritionally great, but you could do much worse. Finally we arrive at the items that you should leave on the menu. The main one to avoid is the Large Beef &apos;N Cheddar, which packs 660 calories, 36 grams of fat, 46 grams of carbs, and 43 grams of protein. It really is going to be hard to accommodate this into a healthy diet on a regular basis. Accommodate This Into A Healthy Diet. Almost as bad, the Large Roast Beef contains 550 calories, 28 grams of protein, 41 grams of carbs, and 42 grams of protein. This is another one that you should avoid. Next we come to the chicken selections on the menu. You&apos;d think that chicken would make for a better choice, but this isn&apos;t the case at all. In fact, for the most part the chicken options are actually higher in fat than the beef choices. If you are going to choose chicken, your best bet is the regular sized Popcorn Chicken. It has 330 calories, 15 grams of fat, 27 grams of carbs, and 22 grams of protein. This puts it rather high in total fat (41% of the total calories come from fat), but since the calorie count is lower, it can be made fit into your diet. Our forum members share some great tips and details of the good and not so good world of restaurant food. Find some favorites and alternatives right here! If you&apos;d much prefer a chicken sandwich, choose the Chicken Fillet Sandwich that&apos;s roasted. It will have 380 calories, 16 grams of fat, 37 grams of carbs, and 23 grams of protein total. The Chicken Cordon Bleu roast sandwich takes the calorie level higher to 460 calories, and provides 18 grams of fat, 37 grams of carbs, and 33 grams of protein. 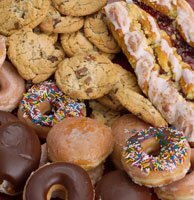 If you have a larger calorie intake, this may be fine, but for a female who is on a lower calorie diet, it may throw her off. Finally, the chicken sandwich to stay away from is the Chicken Bacon & Swiss sandwich. 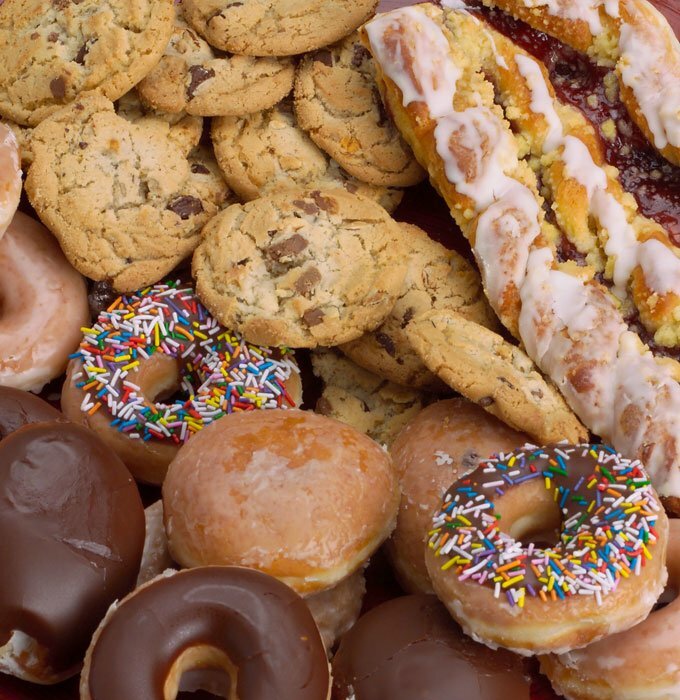 It contains 540 calories and 22 grams of fat. The protein content isn&apos;t all that high either (31), so definitely a choice to opt away from. Do You Prefer Chicken Or Beef At Arby&apos;s? Beef. It Is What They&apos;re Famous For. I Don&apos;t Eat At Arby&apos;s.
Next we come to the &apos;Market Fresh Sandwiches&apos;. You&apos;d think from the name that these should be the healthier options available but this isn&apos;t the case at all. Unfortunately there are no real &apos;good&apos; choices here; it only goes from bad to worse. The least disastrous sandwich is the Corned Beef Reuben, which contains 610 calories, 33 grams of fat, 55 grams of carbs, and 34 grams of protein. This is more fat than most people need in a single meal, not to mention nine grams of the fat will be the less than healthy variety. On the higher end of the spectrum you have the Pecan Chicken Salad Sandwich which tops the charts at 870 calories, 47 grams of fat, 92 grams of carbs, and 25 grams of protein. For an average female who&apos;s on a fat loss diet, this will be more than half of what she needs to take in for total calorie content that day. If you want to maintain your healthy diet, this is the sandwich on the menu to avoid at all times. Coming to the toasted subs, you aren&apos;t going to do a whole lot better. Again, there isn&apos;t much of a good choice on this portion of the menu, but luckily they don&apos;t get quite as bad as the Market Fresh Sandwiches. [ Click here to learn more. ] Smart Sandwiches At Subway Offer You Healthy Options! Subway is one of the fast food franchises that is known for being a healthier option for those looking to maintain a lower fat diet. Here&apos;s a look at the menu to determine which will help you... or hurt you. The lesser dietary evil on this menu is the French Dip & Swiss Toasted sub, which comes in at 510 calories, 16 grams of fat, 63 grams of carbs, and 29 grams of protein. Overall it does contain more protein than many other choices, but the higher calorie content disqualifies it from being a really great option. The highest calorie item on this portion of the menu is the Classic Italian Toasted Sub, which contains 600 calories, 27 grams of fat, 61 grams of carbs, and 25 grams of protein. It is lower in protein content than the above sandwich, but higher in both fat and calories, making it a much worse option. Salads are one option that many people feel are going to be a smart bet, but this isn&apos;t the case at all. Unless you opt to order your salad without dressing at Arby&apos;s, you&apos;re going to be faced with both a high calorie and fat content. Some of the salads alone without dressing are not all that bad, but as soon as you add the dressing you better be prepared to add a number of calories as well. Fresh is the word in the Dugdale household and Christina loves to pack a lot of variety and color into this familiar dinner time staple. A simple oil and vinaigrette dressing finishes the dish. Without any dressing, the Chopped Turkey Club salad only has 250 calories, 12 grams of fat, 10 grams of carbs, and 23 grams of protein. This isn&apos;t too bad of a meal as it&apos;s both low in calories and higher in protein. If you do decide to add the dressing to this sandwich, you&apos;re then going to be taking in an extra 230 calories, 24 grams of fat, and 1 gram of protein, so you can clearly see why the salads can become very bad choices, very quickly. The worst salad option on the menu is the Chopped Farmhouse Crispy Chicken Salad, which contains 390 calories without dressing, 19 grams of fat, 26 grams of carbs, and 25 grams of protein. If you add dressing to this salad, you&apos;ll easily be topping the 500 calorie mark. Finally we come to the desserts. Typically you&apos;ll always be best choosing away from desserts on any menu since they are loaded with empty calories and this restaurant proves the same. Away From Desserts On Any Menu. The lower calorie dessert on the menu will be the Apple Turnover, which contains 250 calories, 15 grams of fat, 35 grams of carbs, and 4 grams of protein. If you choose to add icing to this, you&apos;ll be taking in another 130 calories, 1.5 grams of fat, 29 grams of carbs (sugar), and 4 grams of protein. This won&apos;t be as bad as many other dessert options you could go for, but it&apos;s sure not going to help you stick with your limited calorie intake either. The worst option would be the Chocolate Swirl Shake, which comes in with 650 calories, 17 grams of fat, fat, 110 grams of carbs, and 16 grams of protein. This makes it pretty much a dessert to avoid. If you&apos;re craving a chocolate drink that bad, mix together some skim milk, low-fat vanilla yogurt, chocolate protein powder, and ice. So keep all of these food selections in mind as you go about hunting through the menu and what to order at Arby&apos;s. There are a few smart selections that can be included in an overall nutritious diet, but unless you&apos;re choosing carefully you may do more harm than good with this meal out. Check Out Arby&apos;s Complete Nutritional Information Here. Shannon holds a degree in Exercise Science from the University of Alberta. She&apos;s been working in this field for the last 8 years, and is now shifting her focus towards those who are looking to gain muscle and lose body fat.